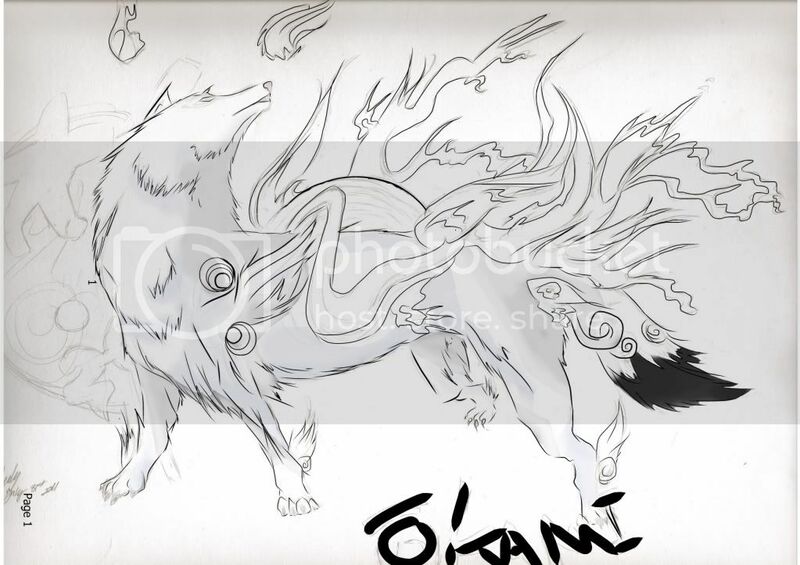 So I've got an order for game portraits from Okami. Here is the first in the Brush Gods line starting with the main character, Ammy, the godess of the sun. What I love about this order is the beauty of the game itself. Okami features traditional japanese art all throughout the game, including the characters, locations, monsters, and even fish. I've played the game and can compare it to Zelda in the sense that it's not just a fighting game, there are puzzles and plenty of side quest. Anyways here's Amaterasu! It's far from finished but I thought I share it with you anyways!